Representing the act, Plan A Entertainment said the group has been working hard on the album while also preparing for its upcoming concert and year-end award ceremonies. The title of the new record has not been revealed, but its lead track will highlight the group’s innocent image and its “girl-crush” charm. 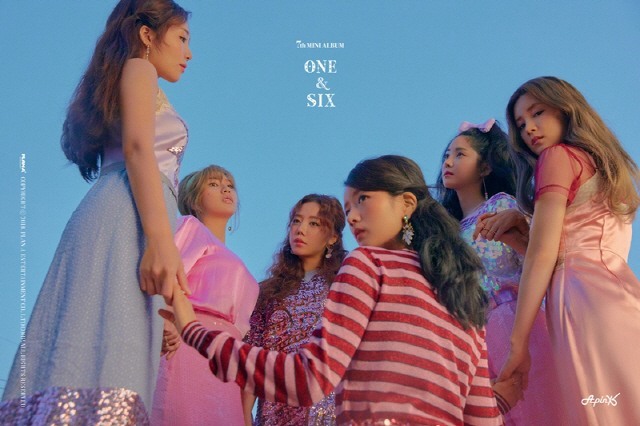 Apink will hold concerts titled “2019 PINK COLLECTION: RED & WHITE” at the SK Handball Stadium on Jan. 5 and 6. Fans previously raised their voices against the stage costumes for Apink’s new album, which include corsets. They expressed concerns that the corsets would restrict the movements of the members while they dance and sing onstage.